As many of you know, my family and I are expecting baby number three in just a few short weeks. As I take some time off from work and blogging to spend time with my family both before and after my new son’s birth, I am thrilled to share with you some amazing posts written by some very talented bloggers. So please sit back, relax and enjoy this guest post and leave a comment letting us know what you think! Today we have my friend and fellow SLP CC from If Only I Had Super Powers sharing some awesome visuals to help our students (or our own children!) transition back to the school routine. Enjoy! It’s that time of year again! The days are getting shorter and the novelty of summer is wearing off. To the relief of many parents that means that school will be starting up again soon! But it also means that routines need to be re-established (or established for the first time!) and families need to be on a tight schedule! Most children, regardless of whether they have special needs, benefit from a schedule to keep them moving in the morning. Schedules are easy to create when you do the same things every day. They provide a sense of stability, especially for individuals that thrive on routines and knowing what is coming next. I used pictures from the internet to make this easier for my non-reader to understand. Also, please note and admire my alliteration on this one! 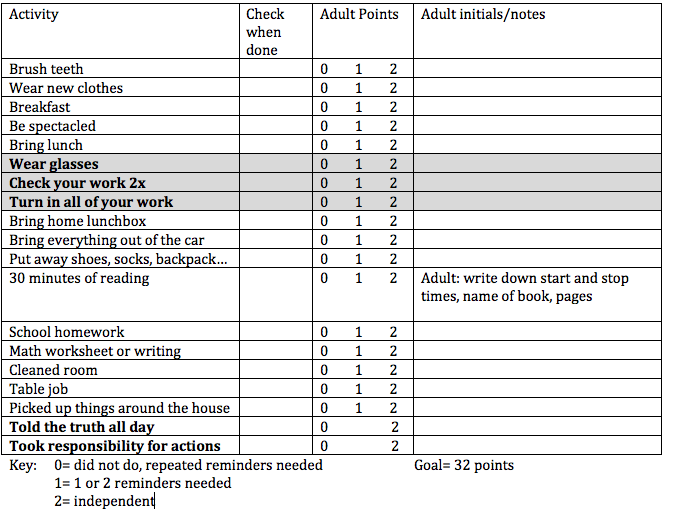 On my list, I also included parent “points” on this since we have some issues at my home with just checking things off without actually doing them. My friend did an amazing morning schedule with pictures of her daughter performing each task. She then printed off the pictures and sequenced them so her daughter could “see herself” doing each part of the routine. 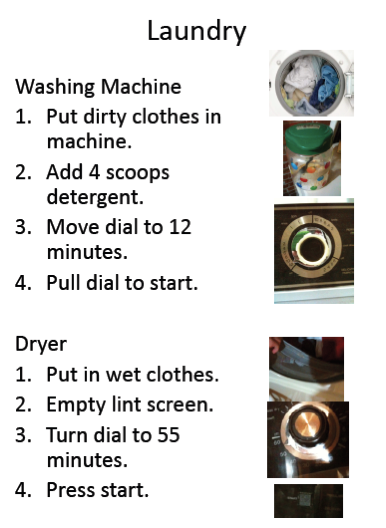 And if your child needs reminders of how to do each part of the task, you can create step-by-step instruction along with visuals. I hope that these are helpful ideas for starting the school year off well. Now if you’ll excuse me… I’m off to make a schedule for myself! CC has been blogging since dinosaurs ruled the earth at If Only I Had Super Powers. She was featured in the November 2012 ASHA Leader. You can follow her on Facebook page here. A routine list is on my to do list! Thanks for the inspiration. I LOVE the title ‘for children with ALL abilities’! 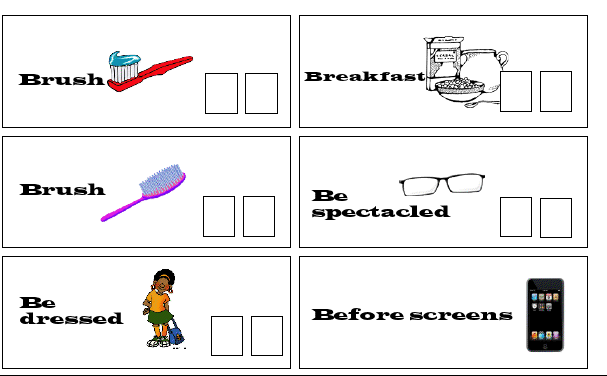 It is too easy to assume that not all children would benefit from a visual/written schedule. I have found that when I establish a consistent routine in my classroom all of my students are more productive and the day runs much smoother! I think the key to using schedules and setting routines is to be consistent with it everyday!